Writers, for the most part, lead boring lives. There are a few, Hemingway, Camus, Malraux, possibly Beckett, who have been involved in active, exciting things such as wars or espionage. For the most part though a Dickens or a Trollope or a Johnson sits down at his desk, takes up pen, or nowadays a keyboard, and writes his book. The stuff of a writer's life is worry about getting a story or novel accepted, getting paid for the damned thing, and generally pretty boring. Boswell escaped this by not talking about Johnson's writing as much as he did Johnson's talk, and it is marvellous talk. Unfortunately Patterson's biography of Heinlein doesn't avoid the trap. Patterson spends a considerable amount of time on Heinlein's relations with magazine editors and book publishers, and again there are a few editors (Max Eastman), and a few publishers (Alfred Knopf, Bennet Cerf, James Laughlin) who are interesting, or might be interesting in their own right, but the nuts and bolts of publishing is fairly dull. So we get rather excruciating detail about who was willing to pay how much for which story. In reference to the income tax in 1952 he gives the month that taxes were due as April. Tax day was changed to April 15 in 1955, three years later (79). He has Alan Shepard as the first American to orbit the earth (208). John Glenn, not Alan Shepard, was the first American to orbit earth on 2-20-1962. Alan Shepard was the first American in space. He has Eugene McCarthy nominated for president by the Democrats in 1968 (297). It was Hubert Humphrey. He refers to Prince Charles's investiture as Prince of Wales as happening in 1958 (313). I believe it happened in 1968 or 1969. There is some academic jargon such as a reference to meta-fictive levels (311). What is outstanding, however, is that Heinlein was willing to put up with a lot of crap from his friends, even from friends who were engaged in dubious activities, such as Ron Hubbard with his Church of Scientology. That he could tolerate Scientology is just one example of the truth of the adage that when you lose your faith in ordinary religion, you will believe anything. A prime example of this, and one for which I, and many others fell, was the Club of Rome report. The predictions made in their Limits of Growth have proven completely untrue. Heinlein was wrong about one world government, but was more clearly correct when he aligned himself with libertarianism. There is some space devoted to the development of Heinlein's major post-war fiction, such as Starship Troopers, Stranger in a Strange Land , and I Will Fear No Evil , but I think Patterson is uncritically adulatory of Heinlein's later novels. It's an interesting biography, and Heinlein was a gifted storyteller, but it is marred by the defects I mentioned. 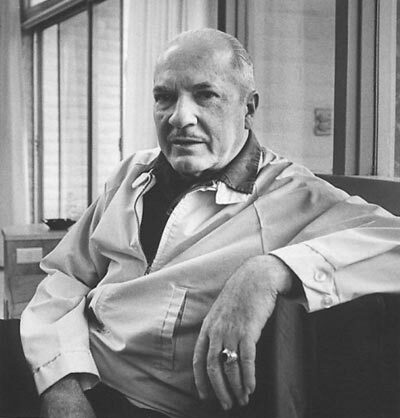 As the first in depth biography of Heinlein, it is a good place to start to deepen your understanding and appreciation of his work. Next up, the final chapter in John Ringo's zombie apocalypse series.